← Ever Been to Nataqua? 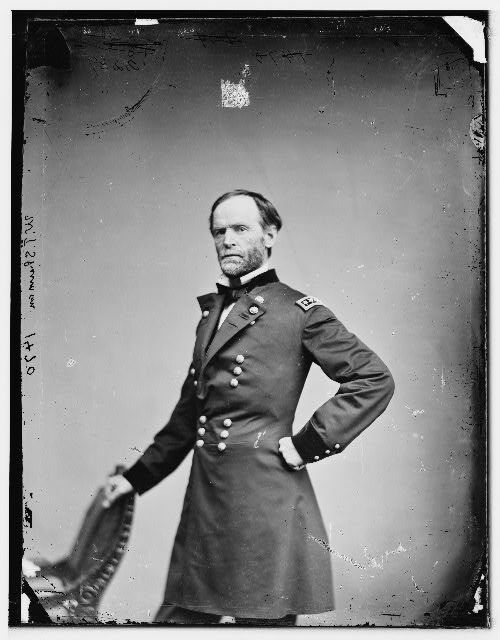 I am currently reading Fierce Patriot: The Tangled Lives of William Tecumseh Sherman, by Robert L. O’Connell. I recommend it to all you Civil War buffs out there, as well as anyone who wants to read a well-written biography of a great American. This certainly describes Bidwell, who prided himself on his self-possession and ability to handle any situation. We sometimes forget that he had a sense of humor and a love of his fellow-man. He was forward-looking and confident, with a belief in America as a place where any man with gumption and the will to work could succeed. Two admirable men: Bidwell and Sherman, each a great American success. To read about their first meeting, check out this blog entry. This entry was posted in William Tecumseh Sherman. Bookmark the permalink.